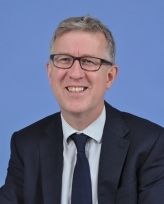 David was appointed as the Chief Executive in February 2018 and had been Acting Chief Executive from May 2017. David has over 20 years’ experience as a Board Director for various NHS organisations including acute trusts, mental health, community and primary care trusts. He has a wealth of experience of leading major strategic service changes and will use that to maximise the L&D’s engagement with the Sustainability and Transformation Plan (STP) to secure the best outcome for both patients and staff. He is passionate about driving forward the redevelopment of the current estate to ensure the L&D’s physical environment matches the excellent care the staff provide. David’s background is in finance and prior to joining the NHS he spent seven years at KPMG working in audit and consultancy where he qualified as an accountant. David believes in the devolution of decision making to the front line in order to provide better quality and more efficient services and continue L&D’s national reputation for sustained performance. He fully appreciates that the staff working at the L&D are its greatest asset and wants to make sure it remains the preferred place to work as well as number one hospital choice for patients. Cathy was appointed as Deputy Chief Executive in March 2018 and had been acting Deputy Chief Executive from May 2017. Her previous post was as Director of Service Development. 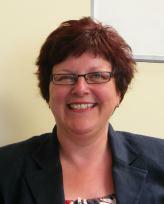 Cathy joined the L&D in 2007 and has held various general management posts in the divisions of Medicine and Surgery. In August 2016 she was seconded to the Bedfordshire, Luton & Milton Keynes STP programme team as Programme Director for Secondary Care. After completing her BSc in Physiology at the University of Liverpool, Cathy started her NHS career as an Information Analyst working for shared services in Hertfordshire, following which she spent three years at Northampton General Hospital working in Service Development. 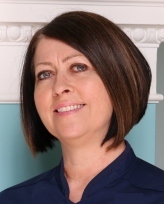 Cathy’s particular interests are in service improvement and transformation, and she is strongly committed to maintaining the L&D’s excellent reputation for delivery of high quality clinical services for our patients. Appointed Acting Director of Finance in January 2019, Matthew joined the L&D in 2002 from the NHS Graduate Training scheme and was Deputy Director of Finance from 2008. In a long career with the Hospital Matthew has played key roles in the successful Foundation Trust application in 2006, the introduction of Service Line Reporting and the development of a Finance team that has a strong track record of Financial governance & support for the Divisions. Danielle is a Consultant Chemical Pathologist and Associate Physician in Clinical Endocrinology. She is the Chief Medical Advisor for the L&D as well as the Director of Pathology. She was a Medical Director from October 2005 until December 2010. Danielle trained in medicine at the Royal Free Hospital School of Medicine, London University and then went on for further training in Clinical Biochemistry and Endocrinology both at the Royal Free Hospital and Middlesex Hospital. Nationally, she was an elected Vice President of Royal College of Pathologists (2008 – 2011) and sat on RCPath Executive and Council (2005 – 2011). She was also the Chair of the RCPath Speciality Advisory Committee for Clinical Biochemistry (2005 – 2011) She is now the Chair of Lab Tests Online Board UK (2012 – ) a peer reviewed, non commercial, patient centered website resource for patients and public. She has over 100 publications in peer review journals including Lancet, New England Journal of Medicine, JAMA and Annals of Clinical Biochemistry in her areas of interest, as well as nine book chapters. 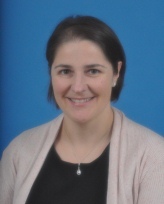 Her main interests include clinical endocrinology, point of care testing and, importantly, the role of the laboratory/clinician interface with regard to patient safety and patient outcome – particularly improving the clinical utilisation of laboratory tests. She is a frequently invited speaker both nationally and internationally on the above topics. She won the ‘Outstanding Speaker’ award in 2009 from the American Association of Clinical Chemistry (AACC) and again in 2015, was a Member of the AACC Annual Meeting Organising Committee (AMOC) for 2011 (Atlanta) and also Member of AMOC for 2014 (Chicago). Nominated as one of the TOP 100 International Power List of Influential Laboratory Medicine Professionals ( November 2015). *Acting Medical Directors David Kirby, James Ramsay, Robin White & Nisha Nathwani. Liz trained as a nurse at Guy St. Thomas Hospital in London and has been covering nursing and operational roles at all levels ever since in different wards and departments, from surgery to cancer and palliative care. She brings to the Trust her vast experience in both operational and clinical roles in the NHS. Liz was awarded an MBE for services to nursing in 2016. Her insights of the challenges of bringing together clinical teams, taking the best of both and achieving the right balance, means that Liz is well placed to help shape the future here at the L&D as a larger, single Trust. 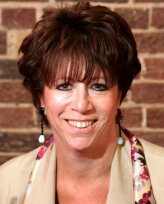 Appointed Director of Human Resources in July 2011, Angela has over 20 years’ experience in Human Resources and Organisational Development in acute NHS Trusts. Just prior to joining the Trust Angela held the post of Director of HR in a Foundation Trust. She has a strong track record in providing high quality HR services and her particular areas of interest and expertise include dealing with major organisational change, complex employee relations cases and also employment matters concerning medical staff. 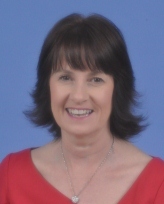 Catherine was appointed as Director of Quality and Safety Governance in October 2018 having previously held the role of Director of Corporate Development, Governance and Assurance at Northampton General Hospital NHS Trust from 2014 and prior to that as Director of Governance at London North West Healthcare NHS Hospital Trust from 2008. 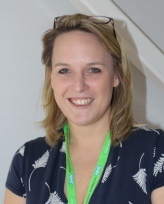 Catherine started her career clinically within radiotherapy and oncology services, transitioning into a variety of senior NHS roles in quality assurance, service improvement and governance. She has a strong commitment to the use of continual quality improvement in ensuring the provision of safe clinical services, delivery of excellent outcomes and fostering an atmosphere that provides a good experience for our patients and their families set within a learning environment for staff. Victoria joined the Trust in 2004 as the Head of Quality Development. Over the past years the role developed to include assurance and corporate governance. This has led to an addition to her role to become Board Secretary in November 2010. She started work in the NHS after leaving University in 1995 – her degree being a BSc in Psychology with Statistics. After starting as a Clinical Audit Facilitator at Bournewood Community and Mental Health Trust, the concept of Clinical Governance was implemented and Victoria took this forward within Bournewood and then with South London and Maudsley Mental Health Trust. She also worked in the Risk Management Team of the NHS Litigation Authority, dealing with risks arising from claims and also extending her education by gaining her NEBOSH exam in Health and Safety. Victoria is currently undertaking a Postgraduate Diploma in Healthcare Governance and Policy.